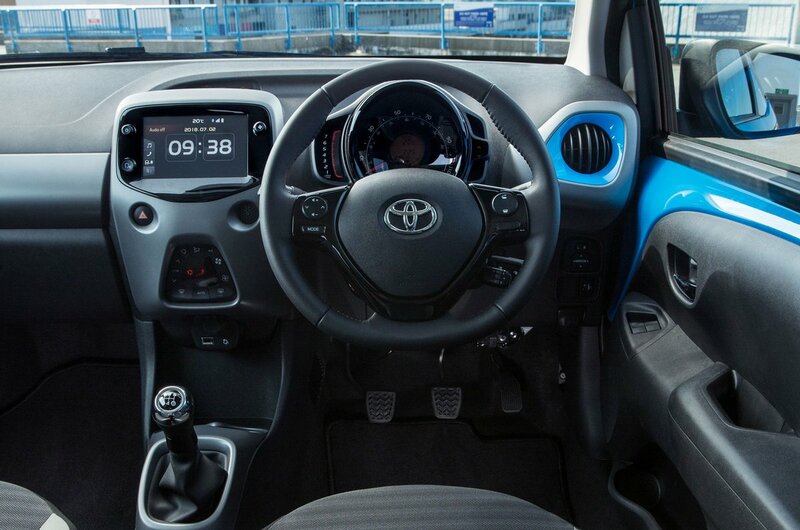 Toyota Aygo Interior, Sat Nav, Dashboard | What Car? There’s no driver's seat height adjustment on entry-level X cars, although the next trim up does have this useful feature. The backrest can be easily adjusted using the rotary knob, while the seat bolsters provide reasonable lateral support and there’s even a decent amount of lower back support. Everything on the dashboard is within easy reach. The temperature and ventilation controls are simple to use, too, whether in the form of rotary dials on entry-level cars or the electronic set-up found on higher-spec versions. Small cars need to be easy to see out of, especially when you’re darting around busy towns and cities. 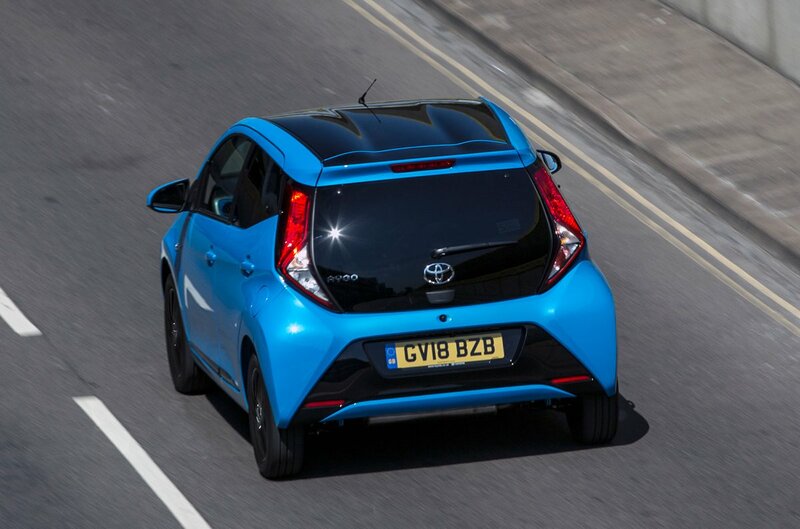 Fortunately, the Aygo's tall windows and narrow pillars front and back provide good visibility in all angles. A rear-view camera is standard from X-Play trim, while rear parking sensors are available as part of an optional pack on all but entry-level X cars. Entry-level X Aygos miss out on any sort of touchscreen technology, making do with a two-speaker audio system with AM/FM radio and USB/Aux connectivity. Moving up to X-Play adds Toyota’s 7.0in touchscreen infotainment system, which includes Bluetooth, a DAB radio and a reversing camera, plus the option of sat-nav. The screen's icons are crisp and bold, and working through the menus is extremely simple, while connecting your mobile phone via Bluetooth is particularly easy. X-Trend trims and above also get Apple CarPlay and Android Auto smartphone integration. It's worth going for X-Play, the second trim level in the range, because this brings a leather-wrapped steering wheel and gearknob in place of the X trim's plastic offerings. X-Play and above also add more appealing, gloss-finish dashboard plastics that can be personalised to your taste. Top of the range X-Clusiv trim adds part-leather seats, but the rest of the interior still features lots of scratchy plastics – especially on the dashboard and inside of the doors. 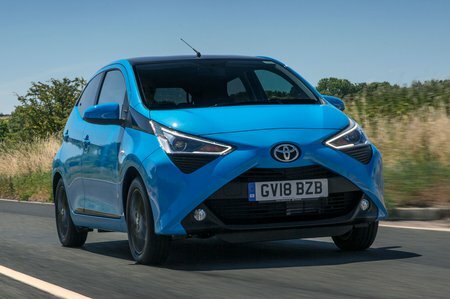 Whichever trim you go for, the Aygo feels solidly built and the ancillary controls, although not quite as weighty as those in the Volkswagen Up or Kia Picanto, feel meaty enough.